UPDATE: You need to follow them on Instagram in order to get the sample. Just scroll down the page after clicking over to their website and click the “follow us” and log into your Instagram account. Head over here and score a FREE 3.5″ x 3.5″ sample of the Original MakeUp Eraser! I can almost promise you’re gonna like it. I have one and I love it! I don’t have to use anything other than water and The Eraser to take off my makeup, including waterproof mascara. It’s thick and soft so it’s gentle, it feels nice on my skin when I use it. 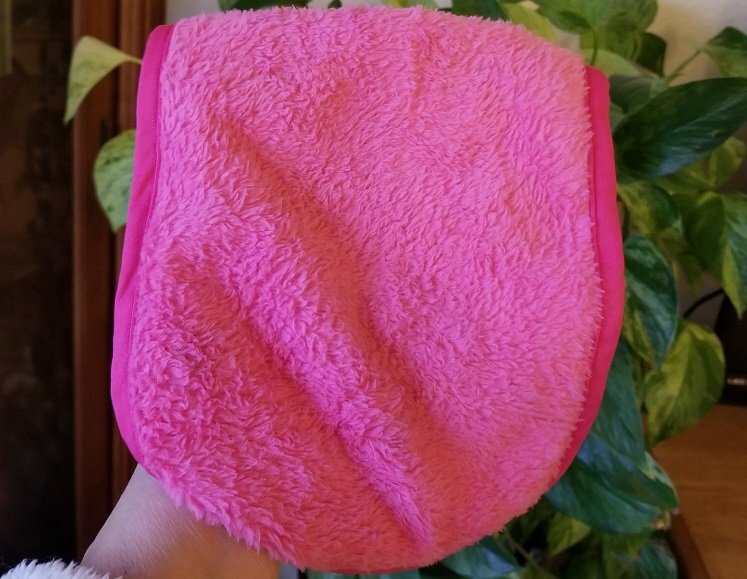 Available in several of different pattern choices – I chose pink. The full size Original MakeUp Eraser measures 7.5″ x 15.5″ so plenty big enough to clean your face. I had to fold it in half for the picture. It also comes in a mini size for traveling. Just fill out the short form (no payment info is required) and you’ll receive your sample in about 6 weeks. This is NOT a paid endorsement, I just really like the product and wanted to share!